Every estate plan is unique because of a particular family's circumstances. Still, most people share many primary objectives that may be reflected in five documents often found at the core of a plan. If your current estate plan doesn't include these five items, you might need to fill the gaps. And if you don't yet have a comprehensive estate plan in place, it's probably time to make that a priority. Mortality can sneak up on anyone. 1. Financial power of attorney: A power of attorney is a legal document that authorizes another person to act on your behalf. A financial power of attorney enables the "attorney-in-fact"—the person specified to act for you—to conduct your financial affairs. 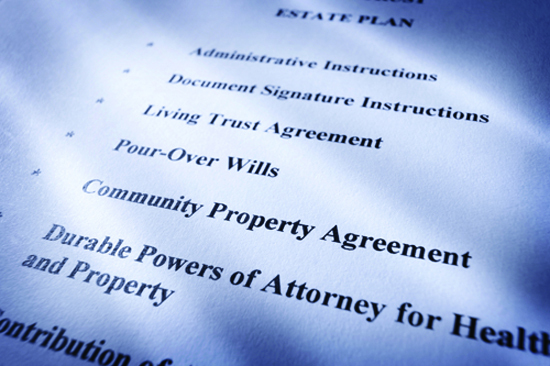 Many states have a standard form for financial power of attorney. Usually, the power of attorney is "durable," meaning that it remains in effect in the event you are incapacitated. But you might use a non-durable power of attorney for specific purposes, such as to have someone manage your portfolio temporarily. Keep in mind that a power of attorney is enforceable only when it has been established before its creator becomes incompetent. 2. Health care power of attorney: Like a financial power of attorney, this authorizes a designated person to act on your behalf in the event you're unable to make your own decisions—in this case, about your medical care. This goes further than a living will, which generally applies only if you're terminally ill or on life support, based on the prevailing state law. Your attorney-in-fact for a health care power of attorney needs to be someone you can trust to act in your best interests. Typically, that would be a spouse, a child, or another close family member. But you'll also need to name contingent and successor agents. 3. Health care directives: Although there are several other kinds of health care directives that you might include in your estate plan, the most common version is a living will. Without it, family members may be left in a quandary about end-of-life decisions involving your care. This can lead to turmoil and questions could even end up being decided in court. Often a health care power of attorney is coordinated with a living will, or the two may be combined in a single document. Some states have forms combining these elements and reflecting other personal choices such as whether to donate your organs. 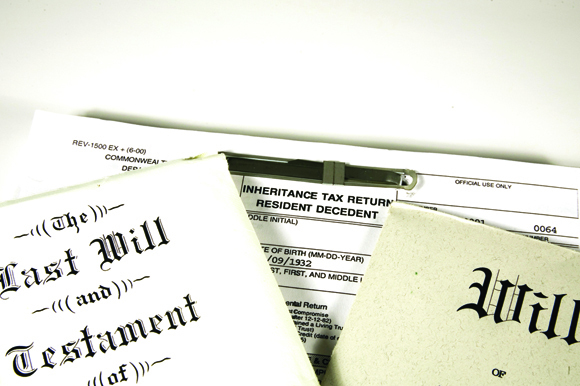 A will may refer to other documents in your estate plan. If you don't have a legally valid will and you die "intestate," your estate will be governed by the laws of the applicable state. 5. Revocable trusts: Finally, your estate plan may include more revocable trusts, which let you change terms based on future events or preferences. Such trusts are commonly called living trusts—or, more technically—inter vivos trusts—because you create them while you are alive. With a revocable living trust, you can transfer assets to the trust to be managed by a party you designate. The transferred assets aren't subject to probate. Other kinds of trusts can also be created to complement the rest of your estate plan. These trusts might be designed to minimize potential state or federal estate taxes, as well as to protect assets from creditors or in the event of a divorce. This list of estate planning basics can be a good starting place for many families. You'll need the help of an experienced attorney and other advisors to create a plan that fits your family's needs.